Pawnshops are a plenty these days. Despite Craigslist and eBay, demand for pawn loans are rising since the recession. When you have serious financial problems or bad credit, banks won't lend you money. With banks, the more you need it, the less likely you'll get a loan. That's where pawnshops come in. 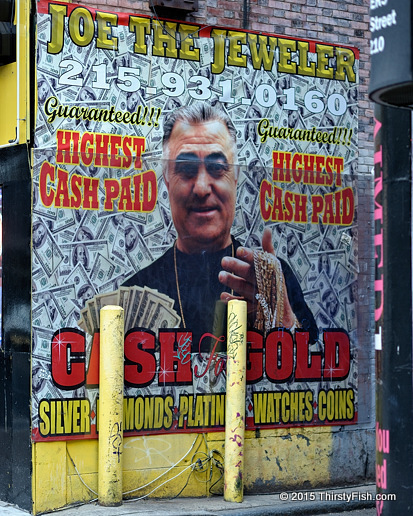 Pawnshops and "Cash for Gold" jewelry recycling services are notorious for taking advantage of their customers. Here's some AC/DC lyrics for you: "Some sin for gold, some sin for shame, some sin for cash, some sin for gain, some sin for wine, some sin for pain. But I ain't gonna be the fool Who's gonna have to sin for nothing".